Over the past few years, we have witnessed an increased interest in inter-generational living, active retirement and ageing in place. This interest could be a product of the ageing baby-boomers, but could equally be related to issues of housing affordability. Multi-generational living is not a new concept. However, today's more fluid definition of family relationships makes it possible to explore new ways of living together. Most retirees wish to actively participate in their extended family lives, while retaining their independence and privacy. Attitudes and perceptions about retirement are also in flux with semi-retirement and volunteerism gaining ground. Working part-time from home can be a positive way to remain engaged with professional networks and retain a sense of purpose. 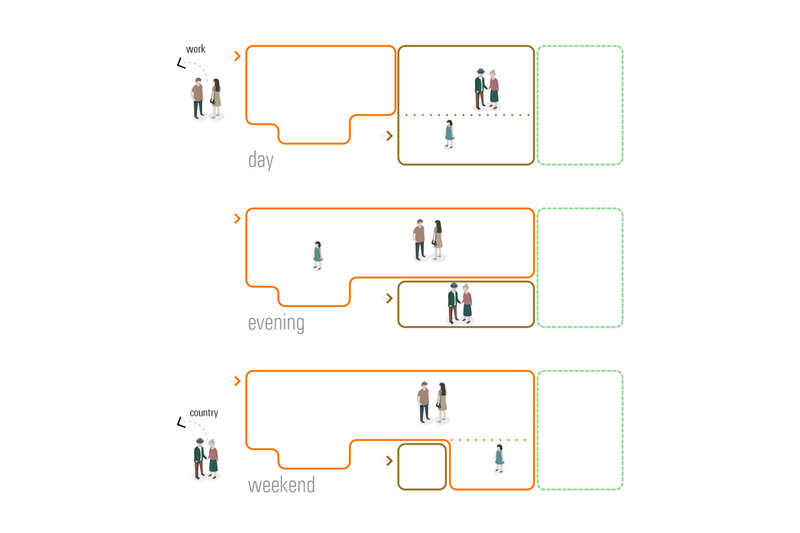 Current housing models are for the most part not easily adaptable for these new scenarios. What is required are more flexible and versatile housing options designed for a loose fit and long life. 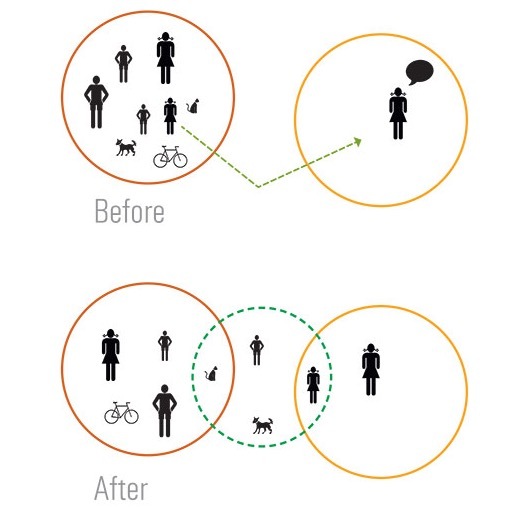 Small-scale interventions that modify existing housing stock, can be highly effective. Two recent projects show possible responses to these themes. The first project is a large extension on a small site, the ultimate flexible space, adaptable to multiple and diverse living patterns. 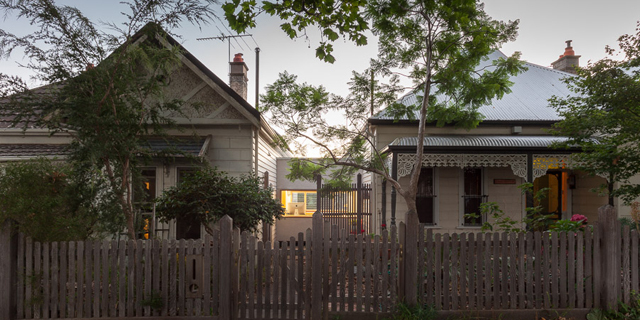 The second project is a series of small interventions that links two existing homes and transforms the way an extended family lives together. Both design solutions are concerned with the aesthetic outcome but more importantly focus on plan configurations and spatial arrangements that can generate better performing and more enriching dwellings. 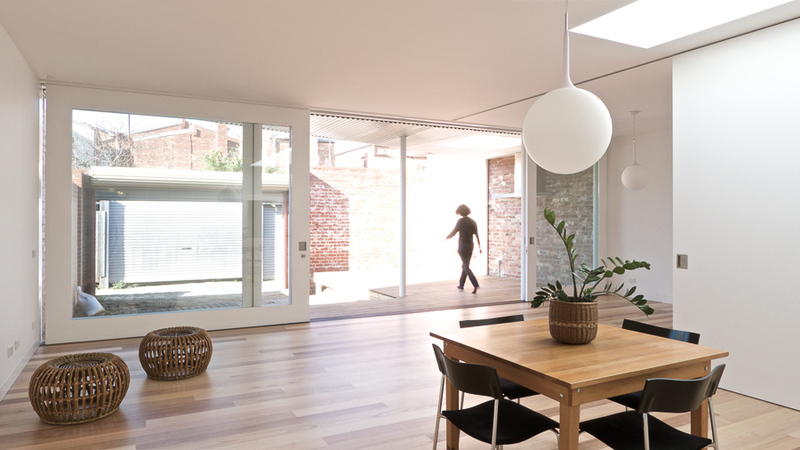 This project is an extensive renovation and addition to a tired single storey Victorian house in a heritage sensitive area in North Fitzroy. 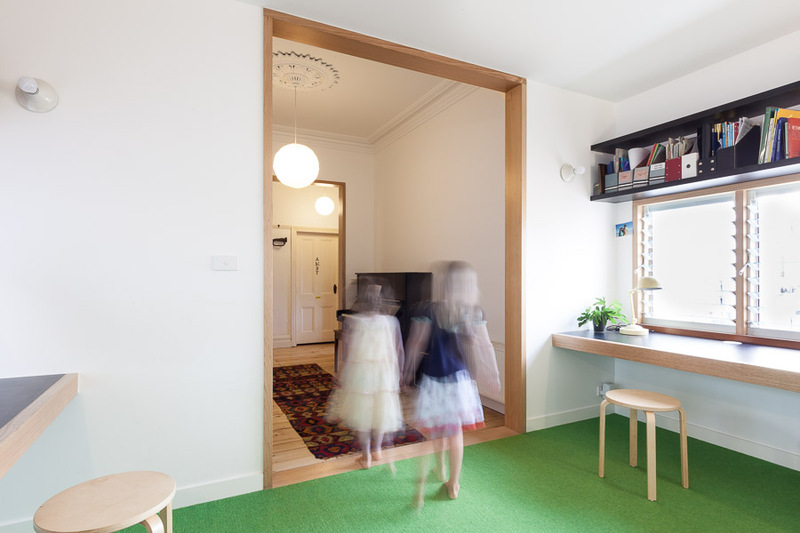 After living in the house for some years, the clients - a couple with a young daughter - wanted a warm and relaxed family home filled with natural light. They were also looking for a convenient way to accommodate grandparents who visit regularly. A simple volume replaced the inefficient additions from the 70s and 80s. It was built to occupy the full width of the property and make the most of the small site. The new area contains living, dining, kitchen and a guest studio. A series of full height glazed doors opens onto a secluded rear garden and fills the space with light. The timber floor and roof were extended to make a sheltered outdoor room. External boundary walls of old and new brickwork were left exposed to contrast with the white interiors. In the evening, the backlit translucent fibreglass ceiling illuminates the garden with a soft light. This unusual project began as a conversation with a former client. Her daughter’s young family had become cramped in their small house. Could we possibly find a simple solution to extend the building to accommodate a couple, three children, a dog, a cat, a large collection of musical instruments, and a versatile work space?